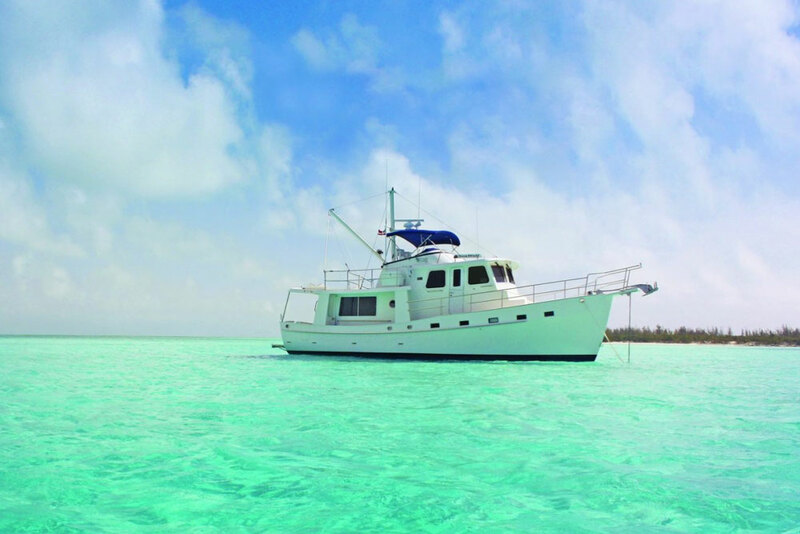 As one of the most popular vessels in the Coastal Craft line, the 45 embodies all of the qualities that have made Coastal Craft Yachts famous. Coastal Craft invites buyers to be involved in the planning stages of their new Coastal Craft 45 to choose finishes, colors and custom features insuring that your new yacht is a one-of-a-kind masterpiece that will represent value and a source of pride for years to come. 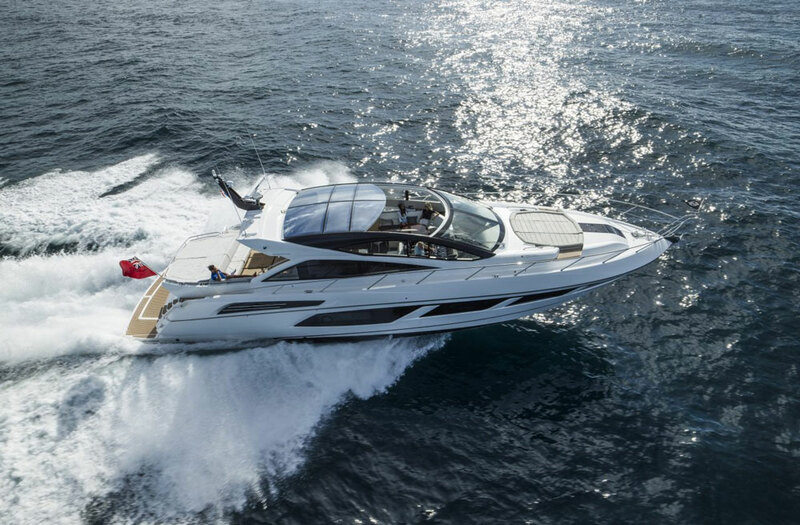 The 45 starts with a commercial quality welded aluminum planing hull that slices through choppy seas at speeds far exceeding the typical cruiser. The main helm station is roomy and comfortable, featuring a CCB doublewide seat, Edson wood-trimmed tilt wheel and joystick control. Additional control stations at the aft cockpit and flybridge also include joystick controls. 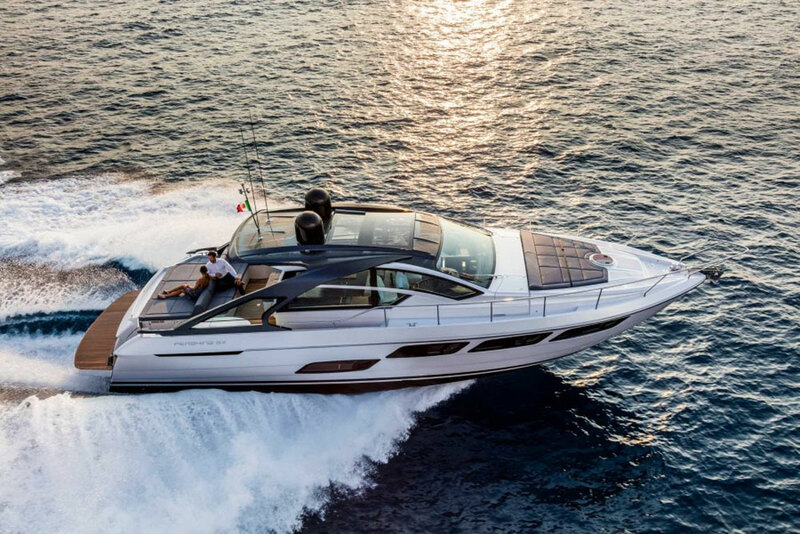 The spacious flybridge is accessed by way of a gentle sloping stainless steel staircase from the aft cockpit. The upper deck offers seating for 10 along with a wet bar and sound system. 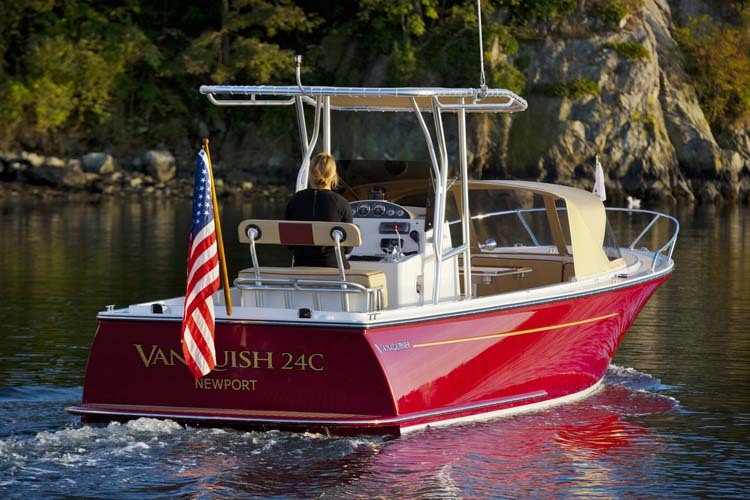 The extended hardtop is home to the davit crane, dinghy and custom dinghy caulks. The folding radar tower holds a variety of different navigation and entertainment antennas and receivers to make for safe and comfortable passages. 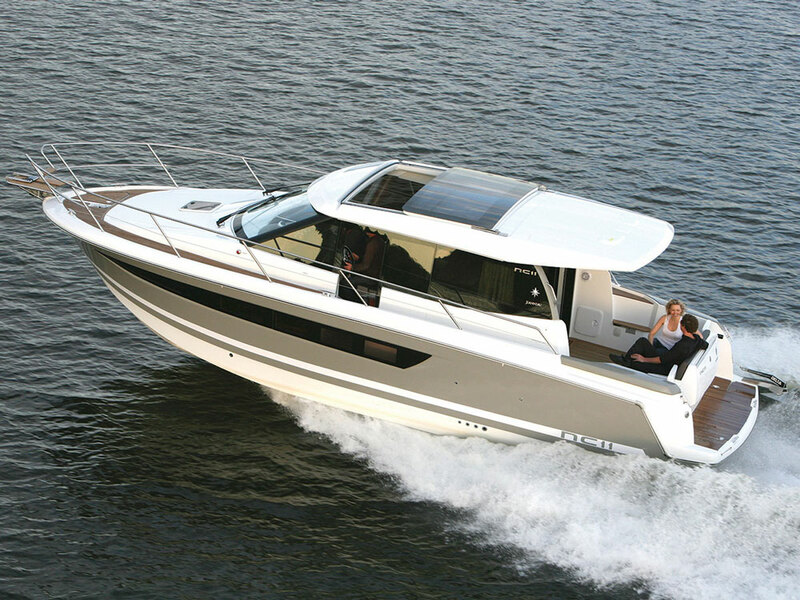 The 45 is powered by twin Volvo D6-435 high performance diesel engines equipped with Volvo IPS 600 drives. This innovative drive system utilizes forward facing Duo-props that run parallel to the hull, drawing un-disturbed water from a plat, hydrodynamic hull surface. 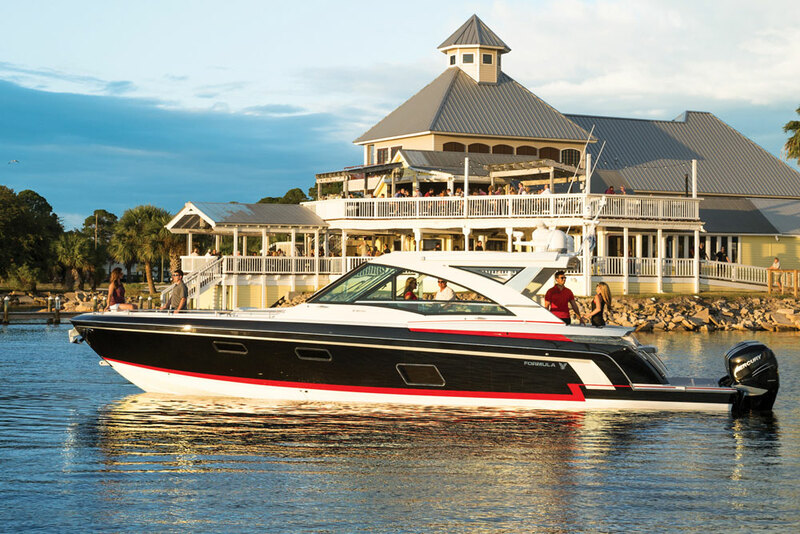 A joystick control rotates the drives independently allowing effortless control for maneuvering and docking – including the ability to supply thrust directly sideways, eliminating the need for a bow or stern thruster. Volvo’s Dynamic Position System offers virtual anchoring and will hold the vessel’s position stationary even in a strong wind or in a tidal current.